Take your music back to the glory days of American muscle with the Ford Mustang Wireless Stereo Speaker from ION Audio. This portable speaker and AM/FM radio combine a retro, analog style with modern digital convenience. The retro look is styled after the Ford '65 Mustang, right down to the speedometer tuning dial, chrome accents, and iconic Mustang emblem. The twin analog dials bordering the tuning dial are actually functional, letting you adjust the volume and the sensitive radio tuner. 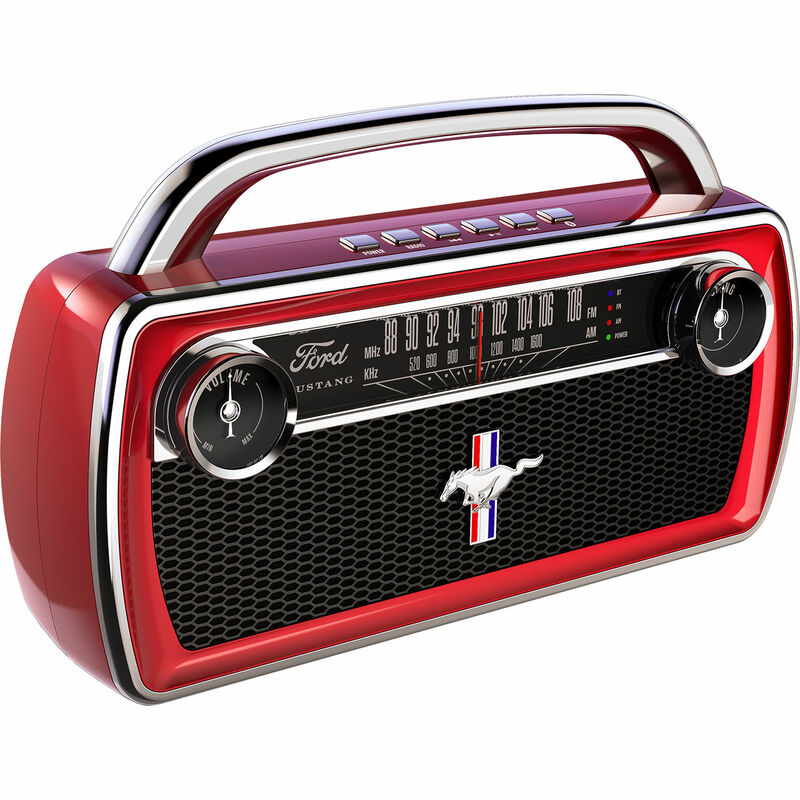 The vintage-looking radio is also a portable Bluetooth speaker. Stream your favorite music or podcasts directly from any Bluetooth-equipped mobile device, such as a smartphone or tablet. All of the audio from this boombox is powered through front-firing stereo speakers and a rear-firing bass radiator to add low-end punch.